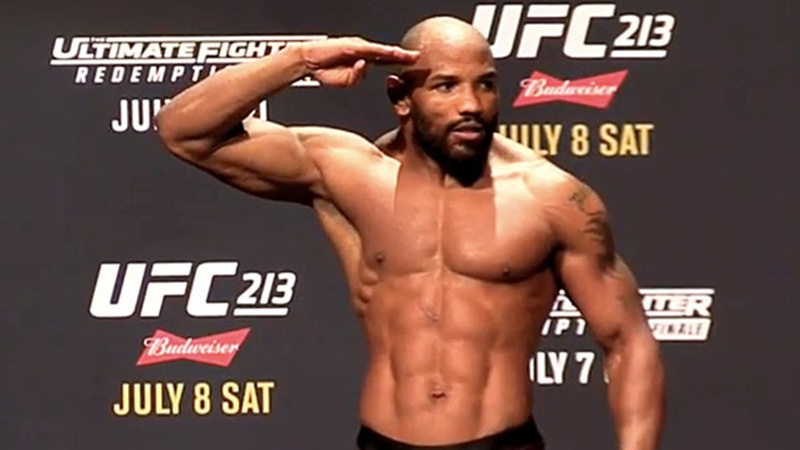 Yoel ‘Soldier Of God’ Romero has had a reputation as a physical and athletic freak dating all the way back to his wrestling career. Despite the fact the weight cut was hard on Romero, he showed no ill effects inside the Octagon, dropping Whittaker and nearly finishing the fight on several occasions regardless of the final results. Last week Whittaker question how ‘superhuman’ Romero recovered from weight cut so quickly by the time he entered the cage to challenge him the following day. The pair had fought once before, in July of 2017, and ‘The Reaper’ says Romero felt like a completely different person when they met in a rematch — like a person made of “steel.” He even questions USADA testing program, which in his mind contains too many loopholes. Moreover, some fans quickly accuse Romero of steroid use. Romero shut down Whittaker’s comments, by sharing an image of a letter he received from USADA after his showdown with Whittaker. The letter explains, he was entirely clean of any potentially banned substance. Both met previously at UFC 213 last July, where Whittaker won via unanimous decision and most recently at UFC 225, ‘Reaper’ edged Romero in a close split decision. Romero needs a rebound from losses in order to secure a third fight with the champion Whittaker, who said previously he isn’t too keen on the idea of having to face ‘Soldier Of God’ again after having two in the win column over him.